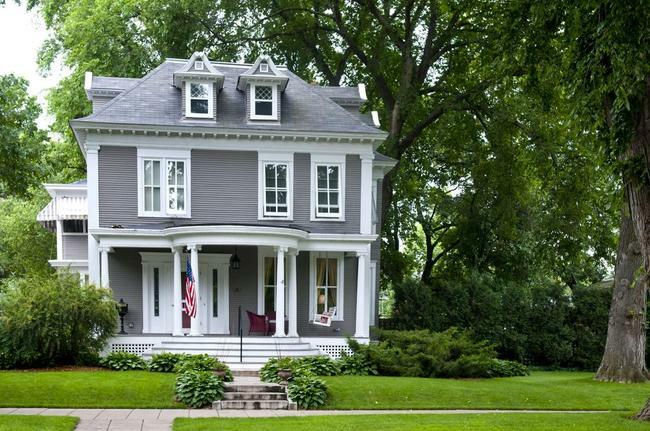 Considered a neighborhood within the Calhoun-Isles community, Cedar Isles Dean is a popular place to call home among Minneapolis buyers and sellers. This community shares boundaries with Kenilworth Lagoon and Lake of the Isles to the north and east, West Lake Street to the south, and France Avenue South to the west. It is often associated with such nearby neighborhoods as Bryn Mawr, Kenwood, East Isles, East Calhoun and West Calhoun. This community was named after three distinctive landmarks: Cedar Lake, Lake of the Isles and Dean Parkway. Here you’ll find homes that range from 750 to 8,686 square feet of living space. Often, these properties sell for anywhere from $149,000 to $3.5 million. Did you know? The Frank Lloyd Wright-designed Frieda and Henry J. Neils House is located near Cedar Lake in this neighborhood. And that’s not the only claim to fame this community has! For instance, there are also a number of outdoor parks in the area, which are perfect for sitting back and relaxing with the entire family on the weekends. You’ll also live just a short drive away from the unique restaurants, outstanding stores and excellent theater venues that the rest of Minneapolis has to offer. And for those everyday needs, Cedar Isles Dean also happens to be located near such amenities as banks, grocery stores and pharmacies as well. Meanwhile, the Cedar Isles Dean Neighborhood Association works hard to maintain the integrity of the community and preserve it as a welcoming place for all. It even regularly publishes an e-newsletter to keep all residents on the same page as far as what’s going on in the neighborhood. A number of quality public schools within Hennepin County serve the residents of this Minneapolis area community. Thus, parents should feel good about the fact that their children will receive a great education. Has this Minneapolis area community piqued your interests as a prospective home buyer? If so, then please take a moment now to connect with us at Stutsman Realty Inc.
We would love the opportunity to assist you by answering any questions you might have as well as telling you all about available listings here. We’d also love to provide you with a number of valuable home buying resources. Sell Your Current Minneapolis Area Home With US! Please make sure to also connect with us if you’re already a resident of this community and you’re ready to take that next step toward listing your home on the market. We would be happy to help by answering any questions you might have as well as helping you determine the true value of your property.